Although Matt Damon has starred in his fair share of actions films, he has yet to take on a superhero role. The only character he’s played that comes remotely close is Jason Bourne (who he recently said could take down Batman), but fighting skills aside, the spy extraordinaire doesn’t make that particular cut. While there are few superheroes that Damon is eagerly campaigning to portray (he already has an established blockbuster career), there’s one character from the comics he still dreams of playing: Daredevil. If Chris Nolan came up to me and said, 'I want to do Daredevil,' I would be in. While the prospect of a Christopher Nolan-directed Daredevil film is intriguing, the chances of that happening are near zero. For one thing, Nolan is tied down with Warner Bros, who exclusively cater to DC Comics characters, not Marvel. Besides, after directing the Dark Knight trilogy, Nolan has implied that his time with superheroes is done for the foreseeable future, so him helming a Daredevil movie on principle in also unlikely. 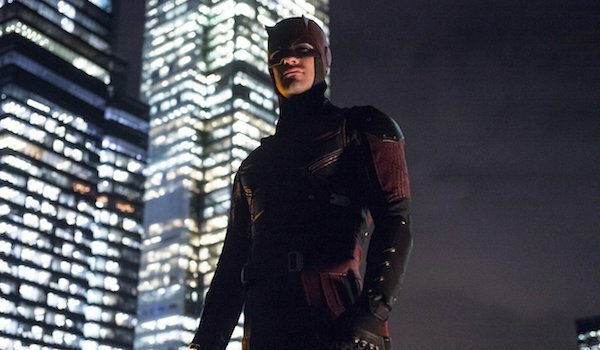 Let’s also not forget that Daredevil already has a bright future with the Marvel Cinematic Universe as a TV character. This past April, Boardwalk Empire star Charlie Cox played Matt Murdock in Daredevil’s first 13-episode season on Netflix, which earned acclaim from both fans and critics. The show subsequently earned a second season less than two weeks after Season 1 premiered, and the next batch of episodes in 2016 will include the MCU debuts of The Punisher and Elektra. Daredevil will also be one of the heroes featured in the eventual Defenders miniseries, alongside Jessica Jones, Luke Cage and Iron Fist. While it doesn’t look like Matt Damon will ever get to play Daredevil, that doesn’t mean he will never be connected to a superhero film in the future. He mentioned that he might consider taking a superhero project if it felt right, not just for the sake of doing it. However, because the star is looking to direct more in the future, he may end up working behind the camera for said project rather than in front of it. Matt Damon can be seen on the big screen next in Ridley Scott’s The Martian, which hits theaters on October 2.